ACI wishes to thank Wegmans and Chef Jeff for his terrific cooking demonstration this past Friday. 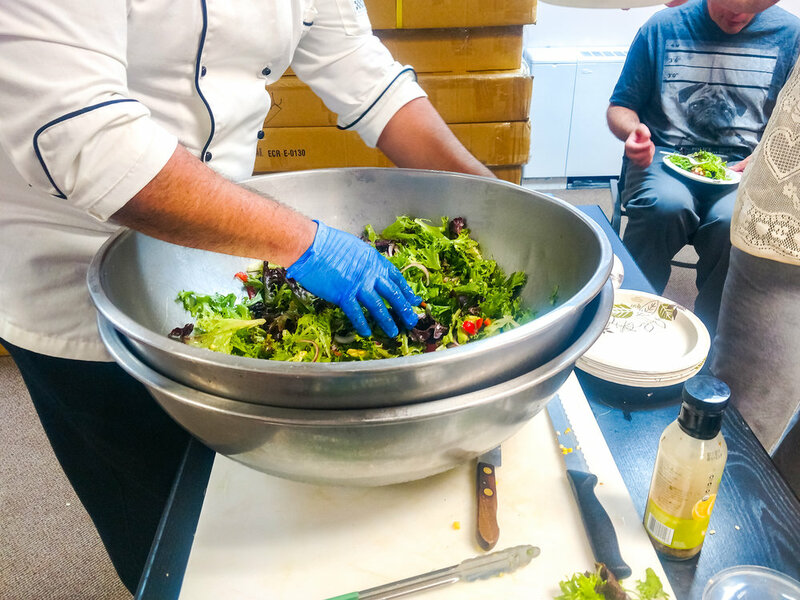 Participants learned how to make a delicious summer salad with fresh Jersey-grown ingredients. Everyone received a Wegmans bag filled with everything needed to make simple salad at home. 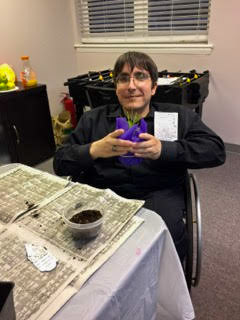 Thank you to Wegmans for their support to our independent living program and we hope to have Jeff back soon! Posted on August 3, 2018 by Brian Mazzarella and filed under Workshop, Health. At ACI's Smoothie Party, participants learned how to make smoothies from healthy, fresh ingredients! 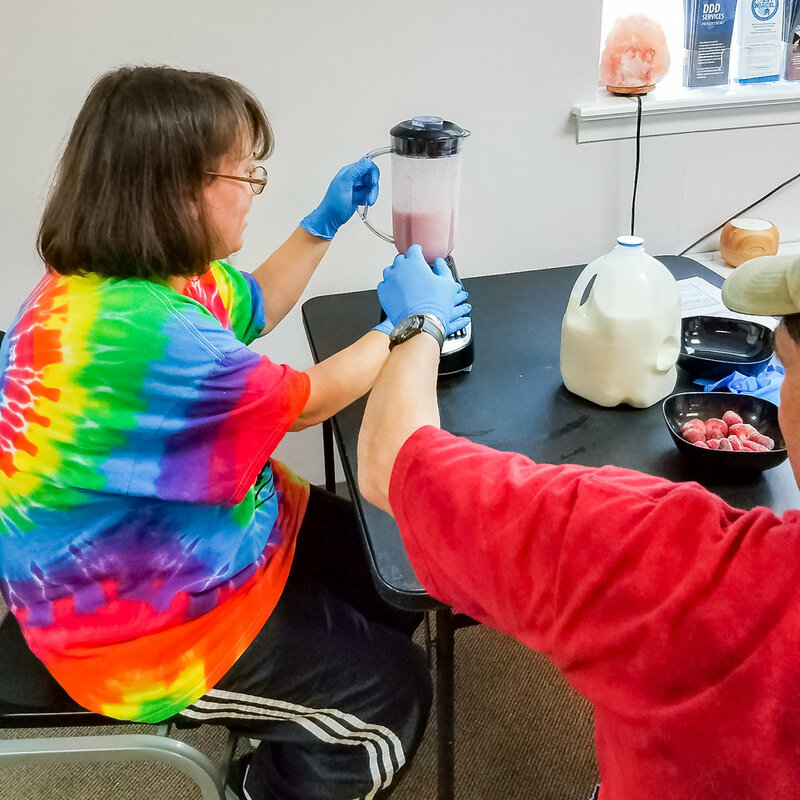 Everyone worked together to create and sample smoothies in flavors such as strawberry banana, pineapple mango, and "very berry". Some groups even created their own recipes! It was a great way to cool down on a hot summer afternoon. Posted on July 27, 2018 by Brian Mazzarella and filed under Health. 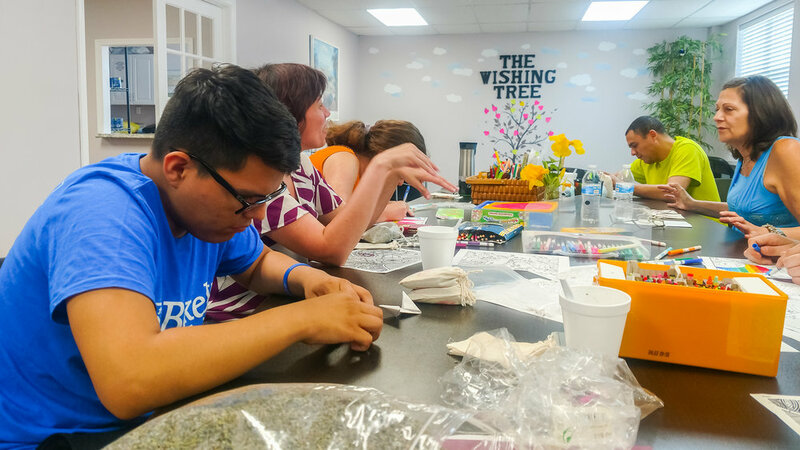 During the month of May, ACI friends, volunteers, and staff gathered together on Fridays to practice relaxation and mindfulness techniques. 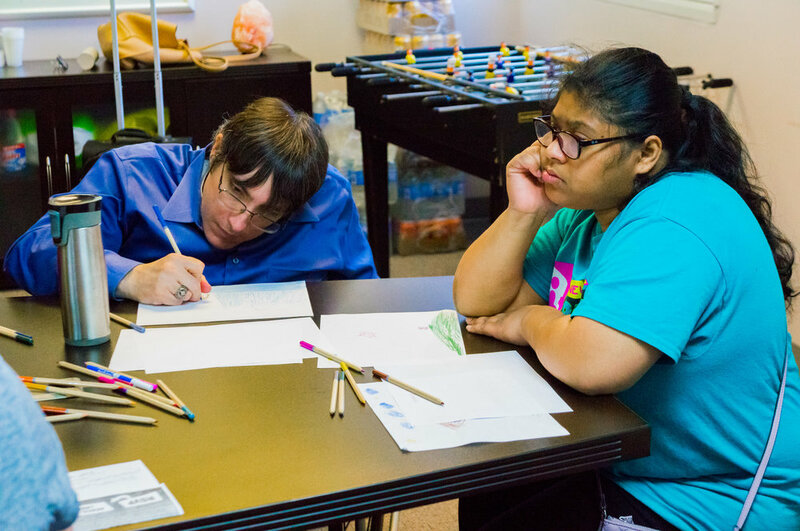 These included guided meditation, origami, coloring, and more! It was a relaxing way to end each week on a positive note! Posted on May 25, 2018 by Brian Mazzarella and filed under Health. 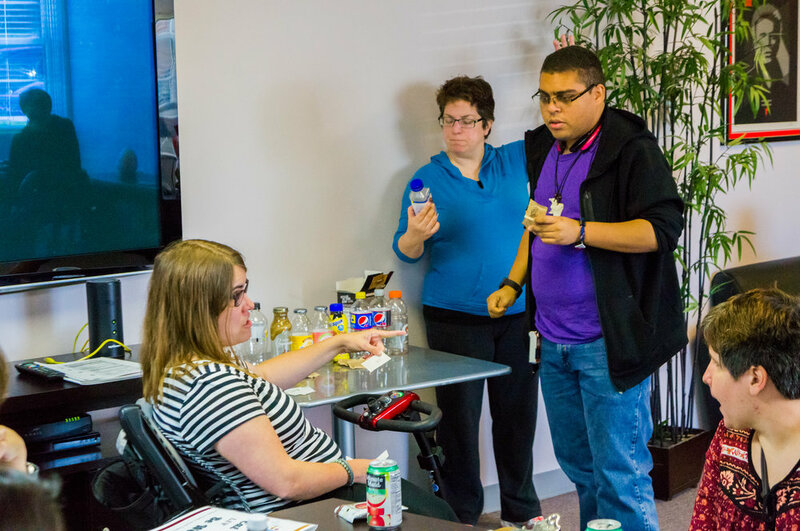 Thank you to Colleen Roche of the NJ Division of Disability Services for her recent workshop on nutrition. 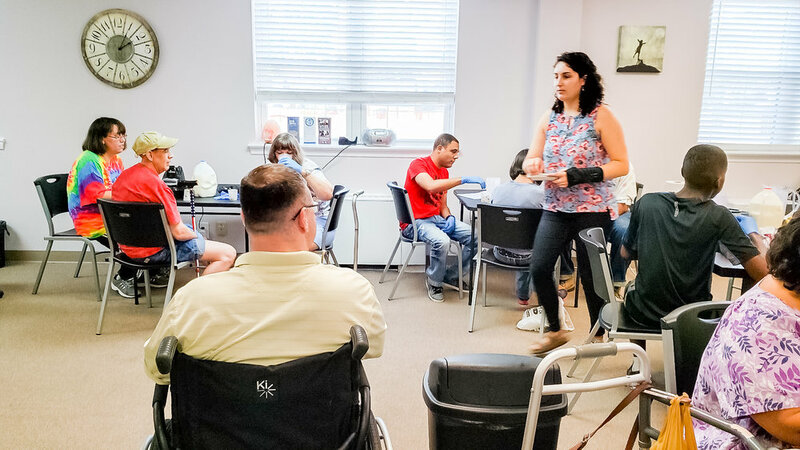 18 people attended the event, which covered such topics as how to read nutrition labels, preparing simple healthy meals, portion sizes and grocery shopping. Thank you Colleen for the informative and hands on workshop. Posted on October 24, 2017 by Brian Mazzarella and filed under Health. 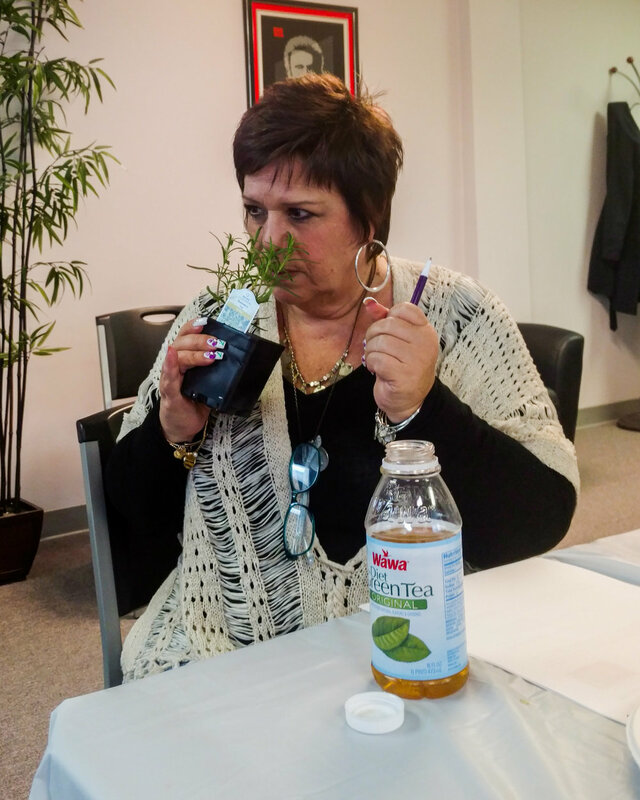 ACI would like to thank MaryAnne Kokidis of Amerigroup NJ for her terrific workshop on stress management. 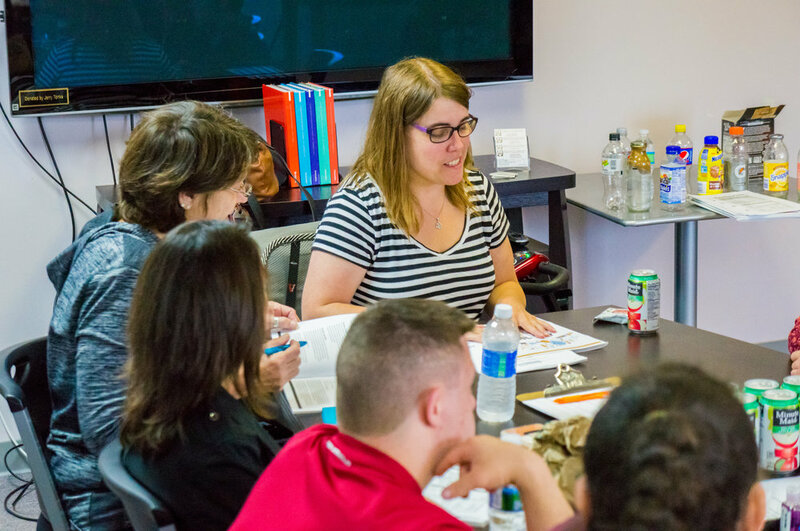 MaryAnne discussed how too much stress can affect your physical health and shared tips on how to reduce stress in our daily lives. Thank you MaryAnne and Amerigroup NJ! Posted on June 29, 2017 by Brian Mazzarella and filed under Workshop, Health. 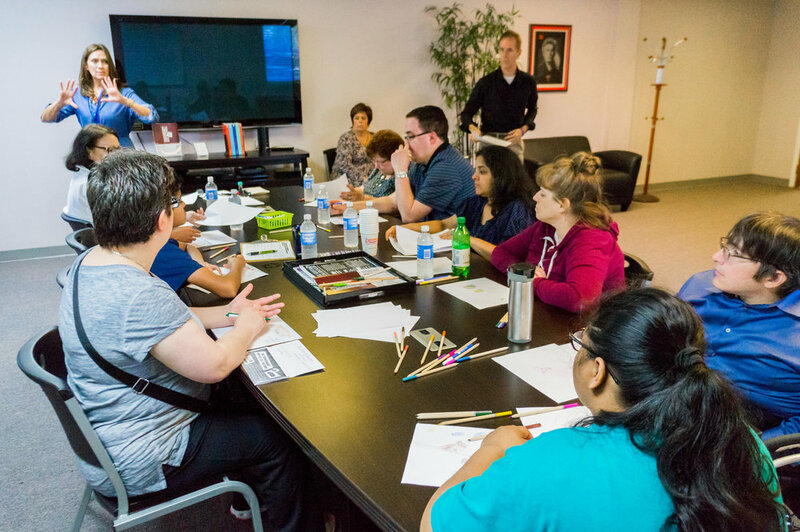 Thank you to St. Peter's University Hospital's Community Mobile Health Services for conducting auditory screenings at our office on April 25th. 15 people got their hearing checked by Betsy and Jenn, Community Mobile Health Services staff. We would also like to thank Terry Hurley of ClearCaptions for providing information on the company's caption display phones for people experiencing hearing loss. Posted on April 25, 2017 by Brian Mazzarella and filed under Health. 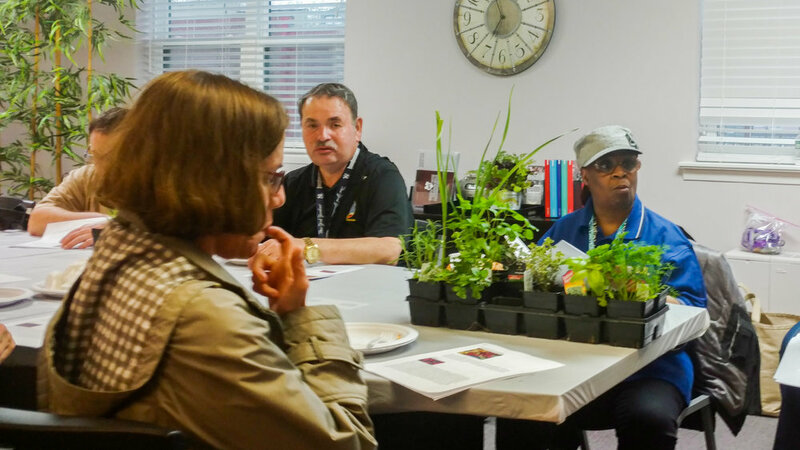 On the evening of Friday, April 21st, Rutgers Master Gardeners Jerri Barclay and Anne Ryder presented a wonderful program about the health benefits of various vegetables, fruit, and herbs. They explained the benefits of each plant and answered questions about how to care for them. 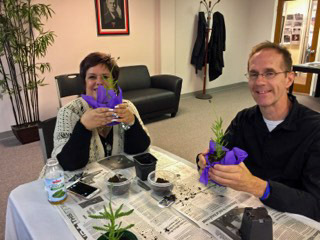 Anne and Jerrie gave tips about how to use parts of certain plants to continue to grow more! 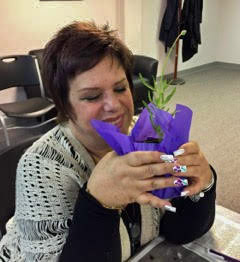 The session ended with a great hands-on activity of potting and decorating a lavender plant. 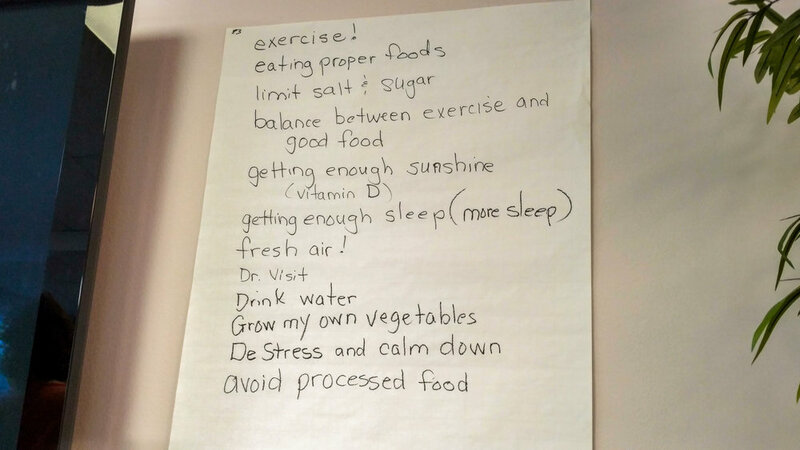 Thank you Jerri and Anne for showing us how to be a bit healthier!